For SpendConsultant.com, this October marks the spend analysis as a service and opportunity assessment tool reaching it's one year anniversary as a publicly available stand-alone solution. 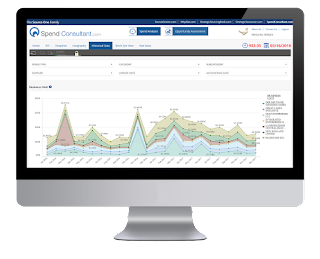 While the core functionality and the underlying data from the spend analysis platform have been in existence for over a decade, the SpendConsultant.com forward client-facing platform has only been available to customers since October of 2016. The launch year of SpendConsultant.com has been a wild success, with existing Source One strategic sourcing clients and several stand-alone spend analysis and opportunity assessment clients providing overwhelming good feedback from their experiences. The SpendConsultant platform was developed and is actively maintained by the strategic sourcing experts at Source One. The Source One strategic sourcing consulting team has been conducting spend analysis and cost reduction opportunity assessments for over 25 years for its clients. During that time, they’ve cataloged all of their procurement lessons learned as well as the market intelligence they develop during each strategic sourcing initiative. But, the category managers and strategic sourcing consultants at Source One wanted to provide a more interactive way for their clients to interact with their spend data and see opportunities for cost reduction through strategic sourcing than traditional graphs and charts in Excel and PowerPoint. That’s when they decided to build SpendConsultant as an easy-to-use interactive front end to help companies view their category and supplier spend data and develop sourcing strategies for future cost reduction events. Originally, the SpendConsultant platform was conceived to simply be a tool for Source One’s strategic sourcing clients, but it was quickly realized that companies that wished to do self-managed strategic sourcing efforts might also want access to a low-cost rapid spend analysis and opportunity assessment solution. In Q4 of 2016, the initial launch of a standalone SpendConsultant platform launched, and has quickly grown in both customer count and increased functionality over the last year. And there is more to come. In the next couple of days, SpendConsultant.com will be launching an opportunity assessment calculator. This simple to use tool leverages your organization’s spend data and enriches it with Source One’s in-house strategic sourcing project results. The result is a tool that allows you to estimated category savings opportunities that predict the results of a successful sourcing engagement. The tool allows users to quickly identify waves of sourcing efforts in order to build out a roadmap of strategic sourcing and cost reduction initiatives in both the short and long term. Additionally charts and reporting will also expand the ways a client can interact with comparative data sets, such as year over year spend changes on a category, sub category or supplier level. And, of course, the opportunity assessment features of SpendConsultant continue to grow each day. As the strategic sourcing consulting team at Source One conducts more and more sourcing events, the lessons learned, sourcing strategies, and savings levers are all cataloged and added into the platform to improve the insights that procurement professionals receive when using the spend analysis opportunity assessment solution. If you want to learn more visit SpendConsultant . In the next few weeks, SpendConsultant.com will also be launching a new website that will provide more details and examples of its capabilities. Stay tuned.